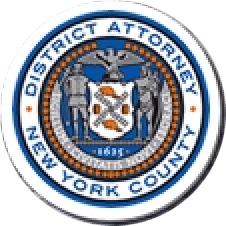 Manhattan District Attorney Cyrus R. Vance, Jr., today announced the sentencing of CHERFEINA DANIELS, 52, to 1 ⅓-to-4 years in state prison for stealing approximately $340,000 from an 84-year-old woman she was employed to care for as a home health aide. As part of her plea, the defendant signed a confession of judgment for $340,000 and renounced her right to inherit from the victim’s wills. She must also pay $46,752 to the New York State Department of Taxation and Finance for unpaid taxes, interest, and penalties related to the fraud. DANIELS pleaded guilty on March 5, 2015, in New York Supreme Court to Grand Larceny in the Second Degree and Criminal Tax Fraud in the Third Degree. According to the defendant’s guilty plea, beginning in July 2008, DANIELS was employed by an elderly woman as a home health aide. Knowing the victim lacked the capacity to consent, the defendant stole more than $300,000 by writing herself numerous checks from the victim’s bank accounts. Additionally, DANIELS persuaded the victim to name her as the primary beneficiary in two separate wills. Assistant District Attorneys Peter Rienzi, Rosemary Yu, and former Assistant District Attorney Om Gillett prosecuted the case, under the supervision of Assistant District Attorney Michael Sachs, Chief of the Financial Frauds Bureau; Assistant District Attorney Catherine Christian, Chief of the Elder Abuse Unit; and Executive Assistant District Attorney David Szuchman, Chief of the Investigation Division. Investigative Analyst Anne McGrath, Senior Financial Investigator Kerasha Campbell, former Investigator James Fenrich, and former Financial Investigator Susan Ryan assisted with the case. District Attorney Vance thanked Detective Simon Chan of the NYPD Detective Squad assigned to the Manhattan District Attorney’s Office, and Nataliya Sydorchuk of the New York State Department of Taxation and Finance for their assistance with the investigation, as well as JP Morgan Chase, the victim’s doctors, attorneys and family friends.